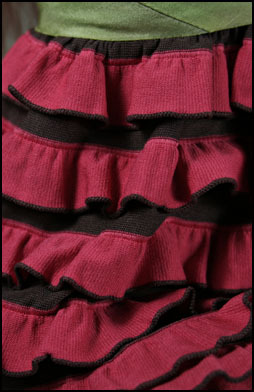 This dress is made from stretchy frilled fabric. The bodice is stretch lace and the leggings are tights fabric. Includes: dress, leggings and hair piece.